LAST CINDERELLA’s fairy tale ending? I just invested three months watching a vexing drama and I can never get that time back. I won’t even bother to review the last episode. But this man is the reason why I watched till the end. Alas, that bittersweet smile could not change the ending, nor Sakura’s heart. Opinions may vary of course on the ending. To some it is satisfying, to others disappointing. I was hoping for a more realistic ending, if Drama couldn’t give me my imagined happy ending, but if we were to base it on the portrayal of Shinohara as Sakura, then we know this show has its head in the clouds. I’m not saying that May-December relationships should not have a happy ending because they do work out in real life for some couples. Maybe the production wanted to make a statement by giving the older woman her deserved “happy ending” and by that, give her a young prince charming and not an aging prince who might as well be the king. Or it could be the Miura-fan factor. Or perhaps I was just being delusional thinking that stuffs like this would have the ending I imagined. 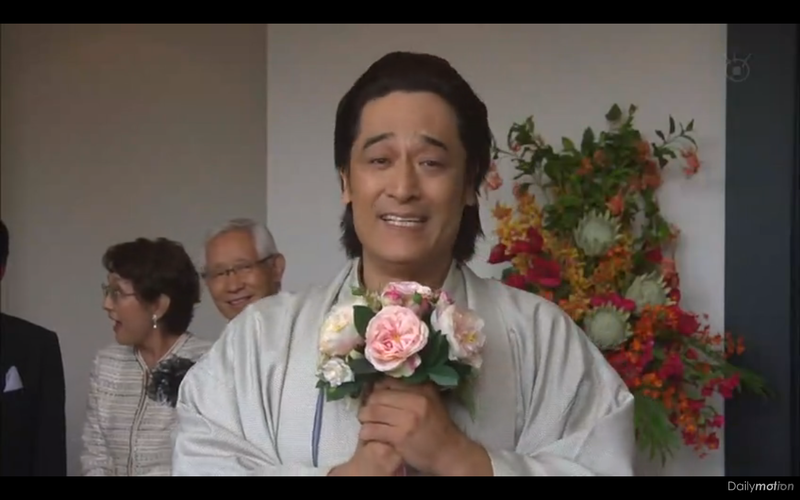 Red flags should have gone up with the billing of Fujiki Naohito in the drama, not to mention how he was practically a support role in this. 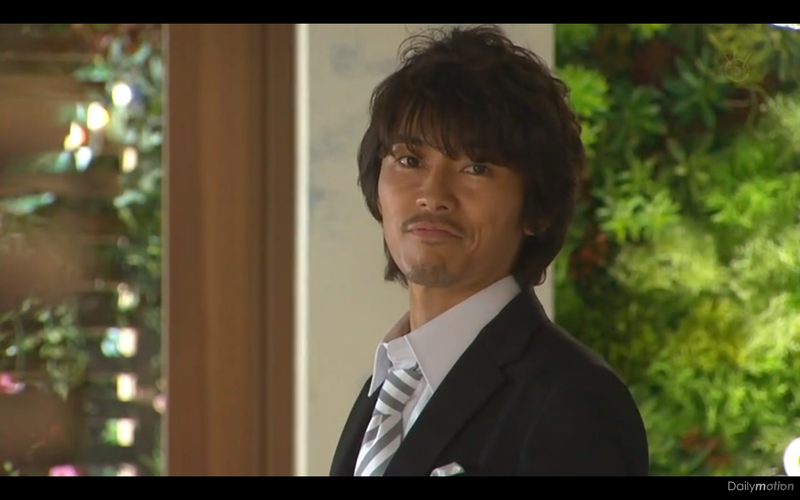 It brings to mind his role in PROPOSAL DAISAKUSEN… although I was not rooting for Fujiki there. But back to LAST CINDERELLA. Despite saying I can’t be bothered to give my two-cents on this, here I am… and some may not agree with what I say but I’m going to say it anyway. There are two factors that made me less sympathetic to Miura’s character, Hiroto and I’ve said this before. First is his acting. Second, the plot. Perhaps if the character was written differently, not exactly goody two shoes but would have some redeeming value outside being BMX rider by day and temp worker by night, I could have been more sympathetic. The sub-plot on his strange relationship with his dysfunctional (step) family was never really fully fleshed out and there were some equally strange dynamics in his relationship with his step-sister that were not addressed. Given all that, would I want him to end up with my heroine? Of course not. And I couldn’t feel the misery and longing when Sakura and Hiroto “broke up”. Everything just felt so contrived and manipulative, over-acting earnest acting notwithstanding. Meantime, I find this scene very symbolic and touching. Rintaro is the one who’s always there for her. And this is the last time he would be there for her, transforming her from an ordinary woman to a modern Cinderella. He loves her but before he sets her free, he makes sure she’ll be all right. Now if that isn’t love. Unfortunately, Cinderella is blind. They should have changed the title to BLIND CINDERELLA, maybe? But there’s an ending I agree with. Now let me find another drama to watch to erase the bad memory of this ending. Unless of course, the real ending is for the bike to turn into a pumpkin and the prince to a toad. On second thoughts, Rintaro deserves better. The hell, I want some BLACK tea. hmmm…..*forgot too* I stil remember\, the whole hype on that new character that was paired with Jerry Yan, n how the story kinda told them going to be together, instead Dao ming Xe back with San chai. Well, how Hua X Lei character got a much big portion there too. You’re right! Will blog about it once the last part is fixed. 💬 Thanks for reading!